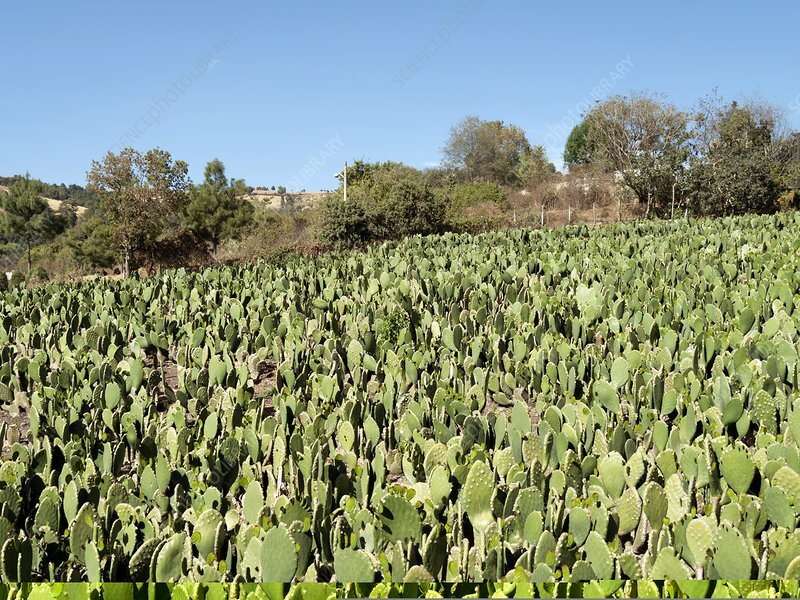 Cactus field. These cacti are farmed as a vegetable, called nopales. The portions used are the newly growing cladode (flattened pad) segments (bright green here) from the prickly pear cactus (species from the genus Opuntia). These pads are peeled to remove the spines, and can also be purple in colour. This vegetable originates from Mexico, where it is used in a wide variety of dishes. The most common species farmed is Opuntia ficus-indica. Photographed in the State of Mexico, Mexico.